Like the Council of Nicea a few no good men like George Washington sat around making decisions and statements like this, “If we would agree to take the fezzes, and turbans off the Moors’ heads and remove the sandals from their feet and enforce it with severe punishments, and also to swear a death oath between ourselves religiously, and faithfully not allow anyone to teach the moorish children whom they really were or who their forefathers were…” I say, “STOP PLAYING”. Teach the children the truth. Teach and Organize. We have nothing to loose but everything to gain. 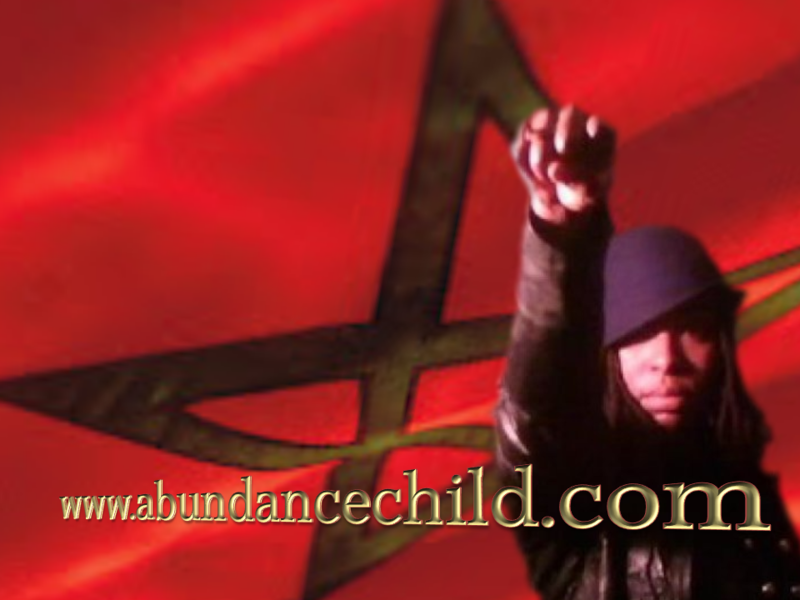 Occupy your mind and then occupy your children’s!PEACE!!!! Islam. This poster bearing one of the hallmark messages of our Prophet Noble Drew Ali to all Asiatics and Moslems (LEARN TO LOVE INSTEAD OF HATE) will be made available soon by Temple 19, Atlanta. Moors, let us be industrious so we can circulate the dollar amongst one another. Peace. 2. If the answer to any of these is “yes,” then even if the religious entity is not incorporated, it has the trappings of a corporation; and besides this, by its very existence it is considered a tax-exempt organization by the Internal Revenue Service according to Publication 1828 – Tax Guide for Churches and Other Tax-Exempt Organizations. There is not enough space to prove that this is entaglement or entrapment of corporate activities , and that there are many court cases and examples to give evidence of these facts. The next error is the erroneous idea that churches are automatically tax-exempt. The IRS considers a church to be a legal entity called an “unincorporated association” or “religious society,” even if it isn’t incorporated and will treat it as any other non-profit organization or “public-charity” under Section 501(c)(3) of Title 26 of the Internal Revenue Code at 508 . The churches have traded 16 simple words of liberty for the quicksand of the 501(c)(3) trap. The IRC says. It says a “mandatory exception” not “exemption.” There is a vast difference. Churches have a “mandatory exception,” but religious organizations do not, such as non-profit ministries like the Billy Graham Evangelistic Association, Inc. Para-church organizations do not have a “mandatory exception.” Neither do they have a “mandatory exemption.” First, if they want to be a non-profit organization, they have to file Form 1023 with the IRS. If they are accepted, then they have to file Form 990 annually. Not only are they exempt from corporate taxes, but they can also file for state property and sales tax exemptions. They can also receive tax-deductible gifts from donors. But churches have these benefits automatically without having to file Form 1023 and the annual 990, and the “pastor” gets big time benefits too, but just hold on, the plot gets thicker. What we now have is an IRS recognized and controlled church in America, and without their approval and number, the true churches cannot exist without a great deal of difficulty. This IRS approved State church includes religious cults of all kinds, witches covens, Jewish synagogues, mosques, Mormon Stakes and Buddhist Temples. The Supreme Court even allows the Babalu’s, a strange cult that cuts the heads off chickens in downtown Hialeah, Florida, to have their tax-exemption in spite of their violating the health laws of the city, because THEY HAVE THE NUMBER. 8pm on The BUILD with Phala Nazarene about the screening of her documentary “Rebirth of the Hip Hop Nation part. 1 The Movement ” Friday, November 8 at the African American Women in Cinema at 87 Lafayette Street, lower Manhattan New York. What is the pharmaceutical industry’s motive for making the HPV virus a “big” issue? What is the “actual” (not assumed) claim made by manufacturers of HPV vaccines concerning the safety of these drugs? What injuries to the brain and body do the chemicals that make up HPV vaccines cause? 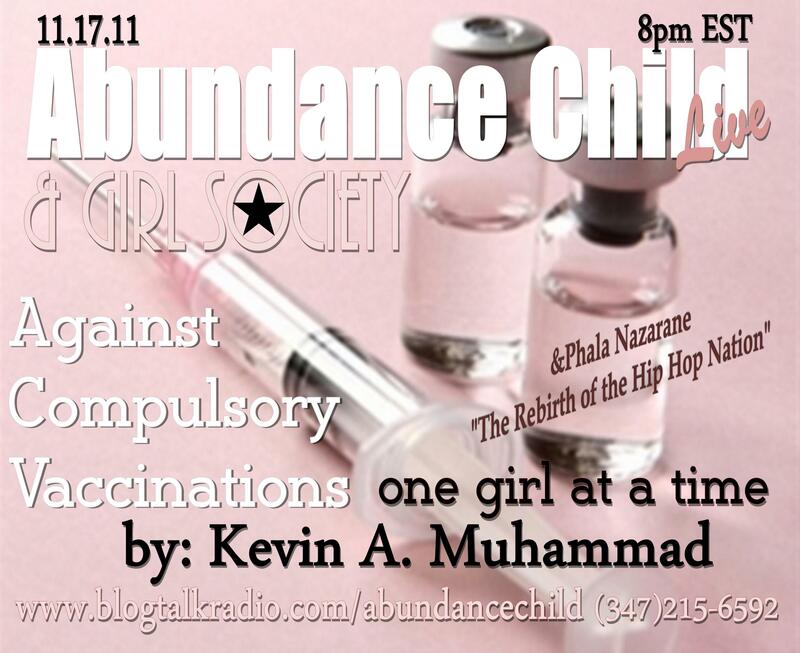 Kevin A. Muhammad will reveal the true extent of the injuries experienced by girls and women who have received HPV vaccines and why we should be informing our children, families and communities NOW. I determined a long time ago that I was not going to be a woman that sits idly and watches my people’s freedom wither away while the masses buy into an illusion of major obstacles to make adequate changes in their daily personal lives. I have the knowledge, the wisdom to apply , and the innate natural overstanding to Stop Playing. Although Katrina and Haiti did not directly effect me today it is only a matter of time that it could. In nature all we have is nature to protect us. By perpetually living in the land of Oz and the Matrix all we have is ourselves to protect us from their architects. It is in these days of enlightenment there is an abundance of information that is being released into the atmosphere. Natural and supernatural events (many referenced by the ancients) are superimposing our perceptions and it is time to wake up and deal with the reality of our existence. So here we are with unseen shackles and nooses dangling around our throats. We are part of a cycle and this is the season that we should take heed and consider that our ignorance,robotic, trained, and conditioned thought patterns and any resulting actions that are in opposition to nature have consequences. Our natural (birth)rights are being voluntarily usurped. We are to complacent and dare to call ourselves conscious when we are dead, asleep. We have no concept of what our power is individually or collectively. I am doing these workshops to appeal to the sons and the daughters of first creation who still feel a need to be representatives of Nature. What I am proposing to eradicate is our fear in the face of the opposition to the sons and daughters of a nature that patiently awaits for us to amalgamate and deviously attempts to eradicate us. I am proposing to eradicate the general hopelessness that there are no home remedies to the diseases we suffer from intermingling with Colonists. I am willing to share what has worked for me. I start with the Birth Certificate because it is my duty as a woman to take responsibility as a woman. From my perspective everything starts with the woman. We are the ones that give birth to the children, inform on them, and surrender them to the corporation plantation and utilize that status to reap financial benefits from claiming them as a fiction. In my humble opinion sisters need to STOP TALKING about anything else (its not relevant) and go reclaim your children! Get a hold of yourselves people. Stop complaining about the white man, the Europeans, and the Plantation if you do not want to apply the solutions to get off the plantation. By starting with the Birth Certificate I will show you how to love your self and your children enough to protect them from someone other than your jurisdiction. After State of Mind, this is the commencement to the rejection of any type of assistance from any inorganic entities. These corporate fictions engineer crisis and solutions to entrap us into depending on them for the basic of functions like having babies, growing our own food, healing ourselves, educating ourselves, trading, and even worshiping. We consistently contract ourselves into their corporate jurisdiction. If we avoid doing business with them what will they have? If we avoid any type of assistance from them we will raise ourselves back to our natural state, change the climate of our communities by teaching our children to be responsible for themselves. They will know that the U.S.A. or the U.S. is not their parents, not part of the human family nor party of their immediate family. 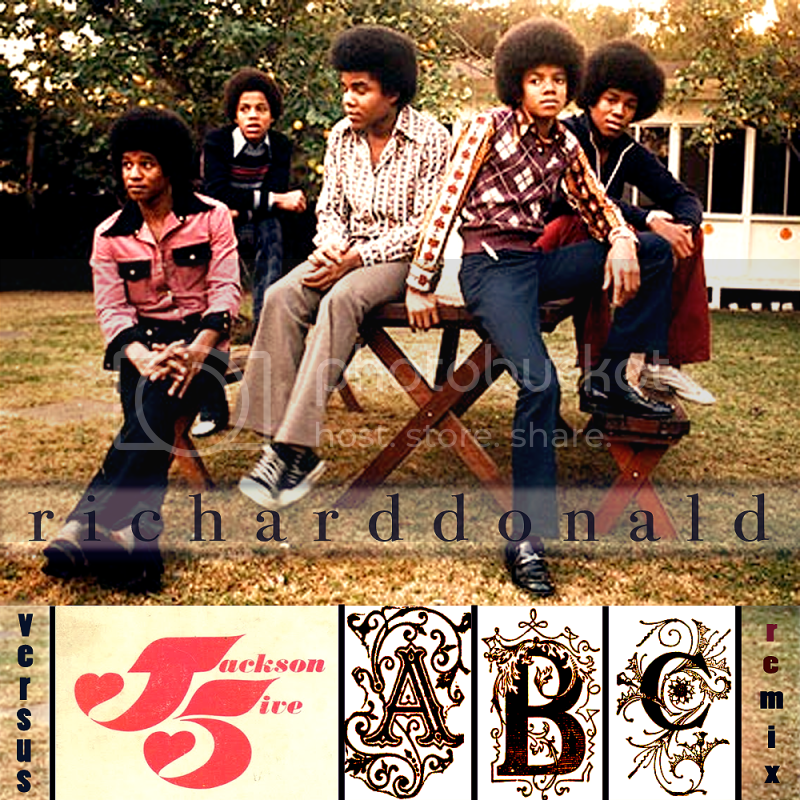 They will naturally know how to support themselves and ultimately will Uplift Fallen Humanity. I am not going to go into more advanced questions of the possibilities of canceling or voiding State Issued Birth Certificate or Certificates of Birth or how to monetize them. 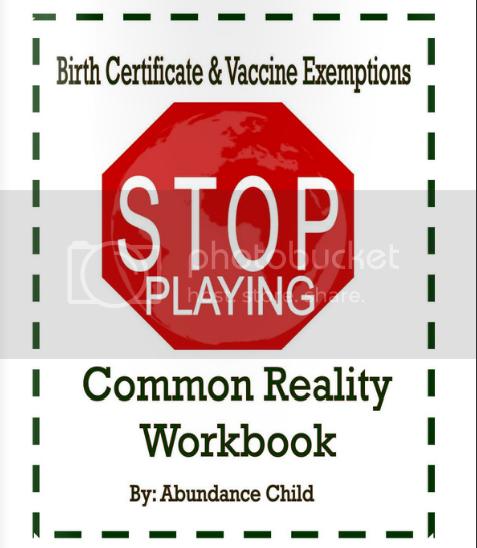 These are Stop Playing:Common Reality Workshops. 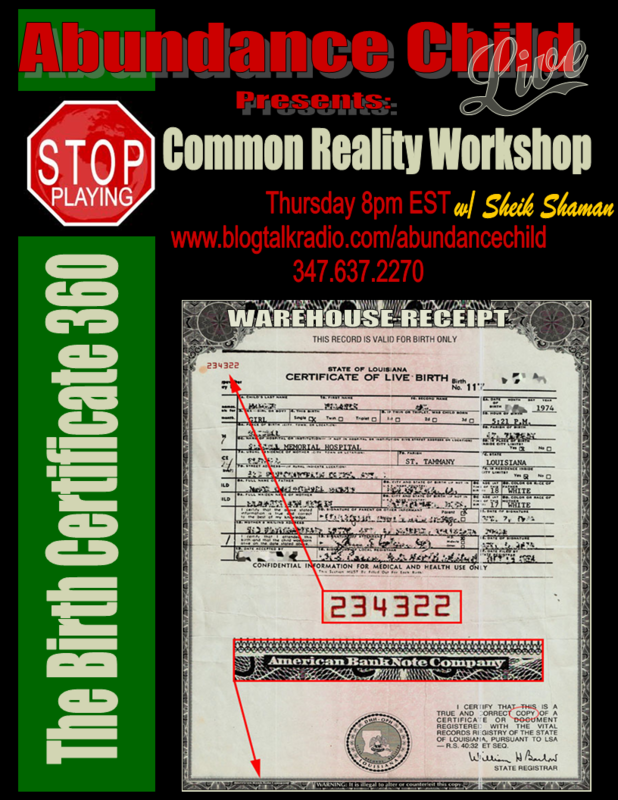 This is what I will do:8-9 pm (Part 1) Birth Certificate in general. 9-10 pm (Part 2) Application of the BC as an instrument and the effect on our natural birth rights. 10 -11 pm (Part 3) Walk through how to create an alternative document. 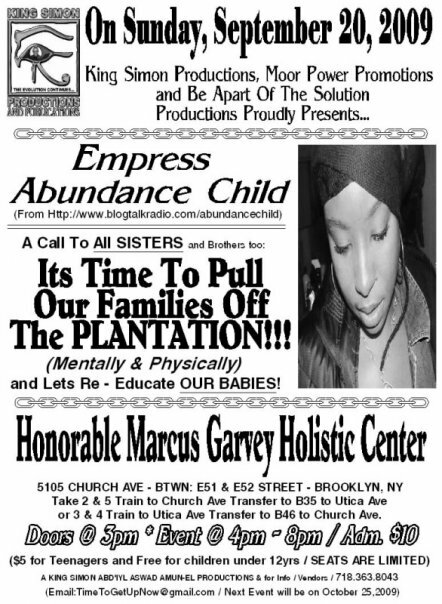 This is a simple solution to keep new business (our babies) in our (their) natural birthright status and keep old business of (being bonds men and women) the same until one is ready to apply moor advanced level of solutions available. Many moor have come before me with Ecclesiastical, National and even Redemption strategies…It is up to you to do the research and choose your path. I just want you to be able to have alternative options while you are seeking. Tune in this Thursday @ 8pm EST. or Call 347.637.2270 to Listen and or Ask Questions. Tags: Birth Certificate, birth rights, Common Reality Workshops, contract, corporate fictions, Ecclesiastical, instrument, jurisdiction, Matrix, Nationality, Oz, State of Mind, strategies, U.S. Government Styles Manual, Uplift Fallen Humanity. The applications are the contracts.The Birth Certificate is the proof that that contract exists. The Driver’s license is the proof that a DMV Contract exists. It does not matter if you were not there when the contract was initiated because when you turn 18 a “person” (which is not flesh and blood) has the right to eradicate or dissolve that adhesion contract so that at this point they can technically become in propia persona. When you look at Vital Statistic information they allow you to amend the information. So if you are listed as Black then it needs to be corrected after you are beyond the age of 18. We need to start accepting our responsibility for securing our birth right. If we are not subject to these contracts then why are we continuously contracting with them once we come into the knowledge? This is fraudulent activity that has negative and and devastating impact on the NATION. We need to stop double talking. We know this knowledge to be right and exact yet we literally give all our energy to a recessive entity. This a subject demonstration and therefore is not Noble. It is our personal and communal responsibility to do the research to apply the knowledge and secure our birthrights. If we do not terminate, dissolve, disassociate from the political brands Black and African American our proper status with the U.S. We will continue to be subject to adhesions and abuses that are for dead persons. You cannot be uplifting fallen humanity and our Nation and commit these frauds at the same time. How can artificial person uplift fallen humanity? State of Mind equals PoliticalConsciousness. This spiritual and mental application of all of the knowledge that becomes realized via our words, sound, and power orally, verbally, and via our National acts. 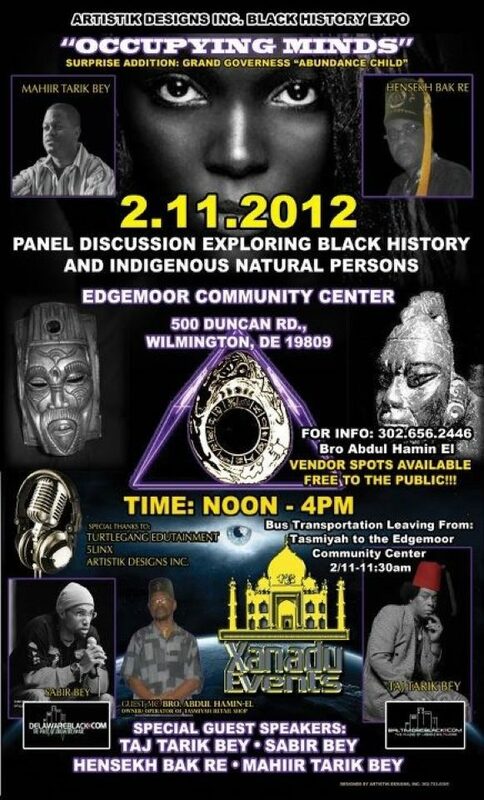 We cannot be committed to Roman Institutions and a Roman system and turn around and say that we are Noble Moors.